Although one might hate the summers for the blazing sun and the scorching heat, one surely loves it in no less measure for the variety of fruits that one gets to savour during the summers and waits eagerly round the year for it. 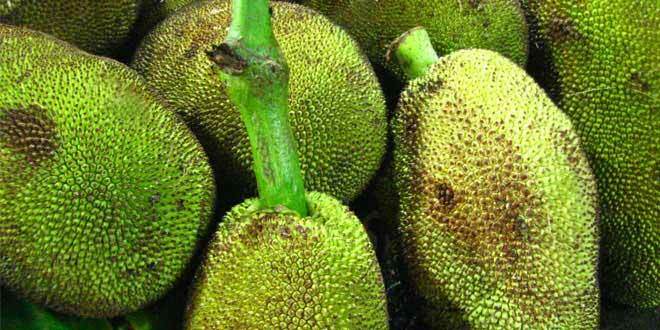 Of the many fruits that grow well especially during the summers, jackfruit is very popular and one that is widely consumed in this part of the world, so much so that it is the national fruit of Bangladesh. The flesh of the jackfruit is naturally sweet and the seeds are separated from the flesh before eaten. It’s also used to make custards and cakes. 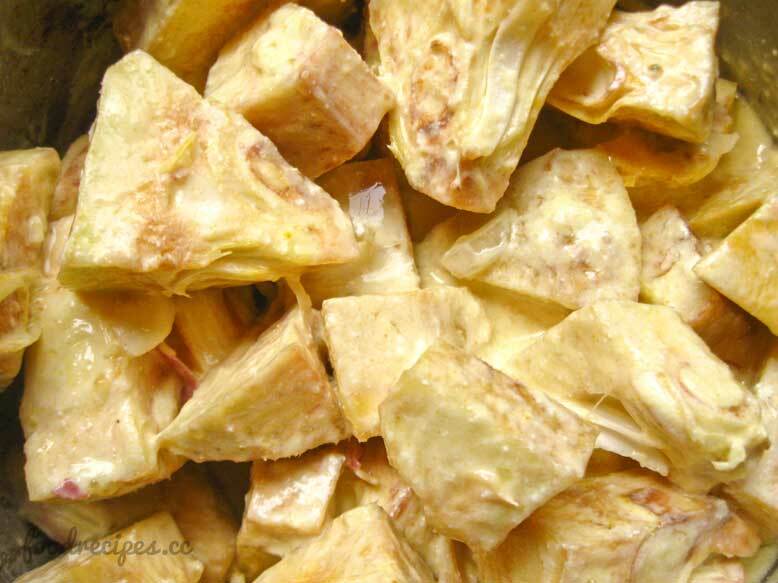 Apart from that, the young jackfruit (also known as the ‘green jackfruit’), called so, just before it completely ripens, is also cooked with potatoes and used in curries in West Bengal. 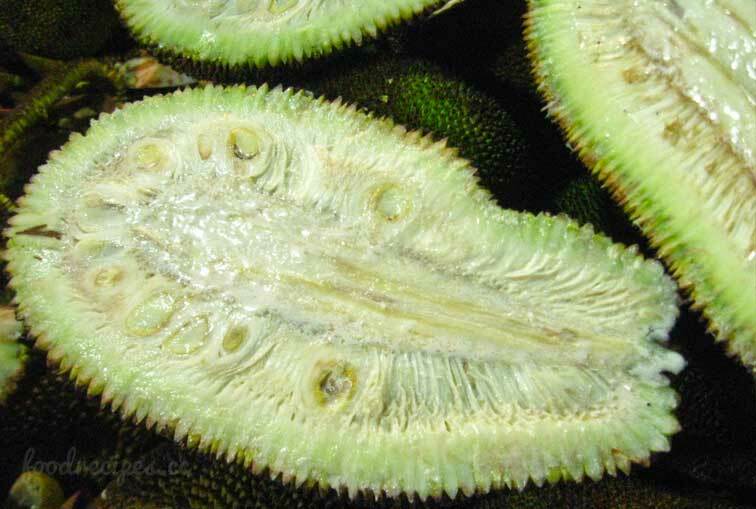 We usually call it Echor, which generally means “unripe”, although it is also known as Gaach-patha (literally, it’d be ‘tree-mutton’ which truly sounds quite funny), for the meat-like texture and taste of the fruit. 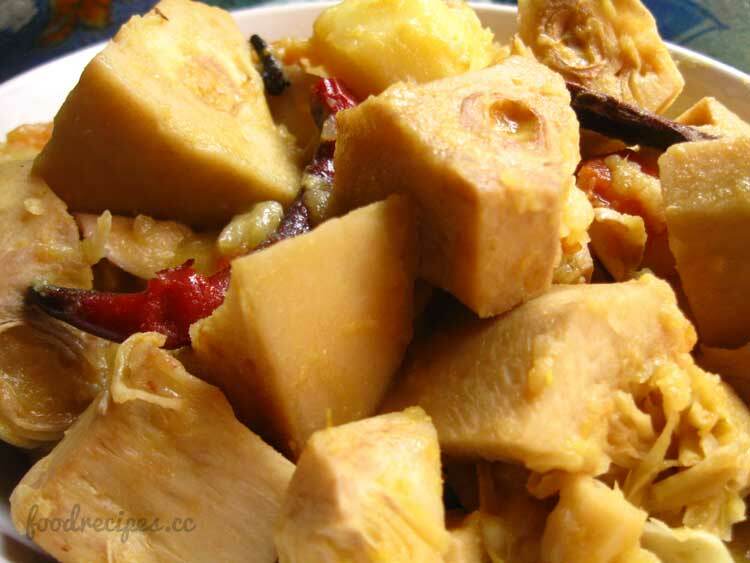 The meat-like texture and taste of the young jackfruit also makes it one of the most sought after fruits in this region because it could be used as a substitute for meat and could well be served to both vegetarians and non-vegetarians. So, anyway. The point, here, is that like every year, with the hope of savouring every bit of this summer, we cooked up the delicious Shahi Enchor Curry a couple of days back. Make the most of everything, as they say. Cut the young jackfruit into small pieces. Pat them dry and place in a large mixing bowl. Add all the ingredients (under Marinate) to marinate it and mix well. Keep them covered in a refrigerator for at least 2 hours (or more if you’d want to, I left them in the refrigerator overnight). Before you start cooking, keep them out of the refrigerator for sometime to come down to the room temperature level. Put some ghee in a pressure cooker and add all the ingredients (under Tempering Oil) when it becomes hot. Allow them to splutter. Sieve the water that comes off after marinating and add the pieces into the cooker along with the potato. Fry for 4-5 mins on high flame. 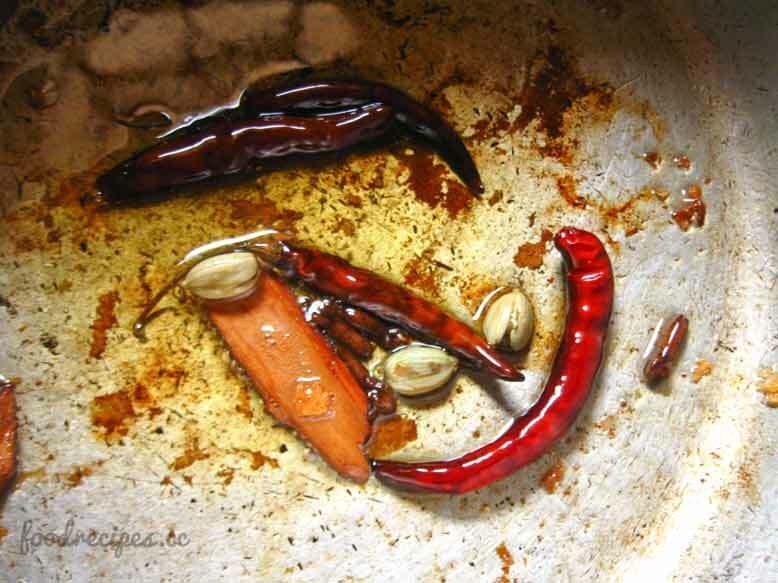 Mix 2 cups of warm water with the marinate-water and mix well. When the jackfruits change color, pour it into the cooker. Bring it to boil, close the lid and cook for 3-4 whistles or until the jackfruits are half-cooked. Grind poppy seed and cashew separately and keep them in individual bowls. Heat the rest of the ghee in a large wok or pan. Add onion paste and sauté for 1-2 mins or until onion turns golden. Pour the poppy seed paste and cashew nut paste into it and continue to sauté for another 2-3 mins. Add nutmeg powder and crushed mace. You can use mace powder but I like the flavor of hand-crushed mace better. When the mixture (of the sautéed onion paste, poppy seed and cashew nut paste, nutmeg powder and crushed mace) and the ghee becomes separate, add the jackfruits and fry for 4-5 mins. Pour the spiced up jackfruit stock into the pan. Cover and continue cooking until the jackfruits are nicely done. Add sugar and salt and adjust seasoning at this point of cooking. Once jackfruits are nicely cooked, check the seasoning and the thickness of the gravy. The gravy should be thick and not the soupy kind. Serve in a bowl.